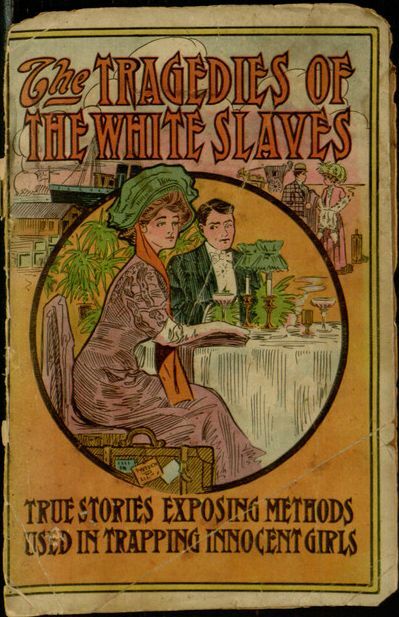 The latest item from our collection to open for proofreading at Distributed Proofreaders is Tragedies of the White Slaves, a collection of “true crime” stories dealing with the exploitation of women. Published in 1909 in a colorful, paper-covered format, this is an interesting (though certainly not unique) example of a publisher attempting to take commercial advantage of a sensitive (and sensational) subject. To help produce a new electronic edition of this text, you can learn about the proofreading process from this earlier post, then join in the work at the project page.